At a San Francisco event focusing "on the intersection of cloud and mobile computing," Microsoft's new CEO, Satya Nadella, may unveil the long-rumored Office for iPad suite. Hello! Welcome to CNET's live blog of Microsoft's cloud event! 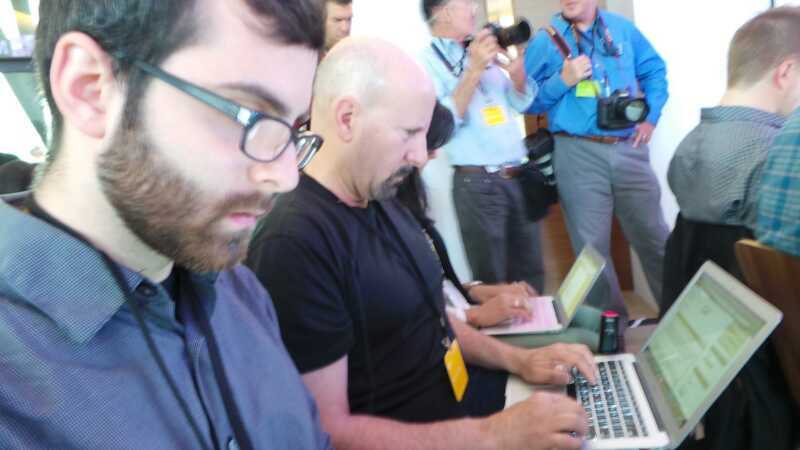 Our CNET team is on the ground at the Microsoft event in San Francisco. This will be new CEO Satya Nadella's first public event. He's supposed to talk about "the intersection of cloud and mobile computing," but rumor has it that he will debut Office for iPad. Our live blog will be brought to you by Nick Statt, Sarah Mitroff, and Charles Cooper. Hey everyone. Event space here is pretty tightly packed. I'll have you know that the most out of place element is the Blink-182 playing over the loudspeaker. It's a mashup of Matisyahu and Blink 182 -- very odd. For onsite tweets follow Charles, Nick, and Sarah on Twitter.